With a countless number of cannabis strains entering the market, it’s difficult to sift through the standard varieties to find the hidden gems. Ordinary strains are being pushed aside for these up-and-coming exotic varieties. 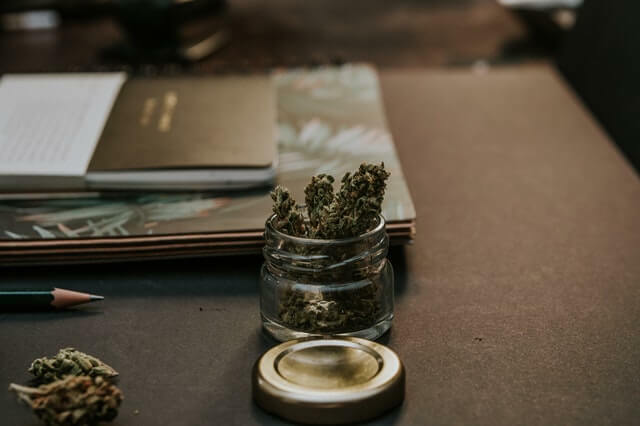 Join us as we list the most hyped cannabis strains of 2019 (so far). This incredible strain was created by Secret Society Seed Co. by crossing the highly revered Dosidos and the already famous Purple Punch. These two heavyweight indicas push forth unique traits from their gene pool to Peanut Butter Punch. The majority of phenotypes found from Peanut Butter Punch inherited the wildly pungent aroma from Dosidos, leaving users floored by the narcotic fumes emanating from the packaging. The overall high is a smooth mixture, with the mind-bending onset stemming from Purple Punch and the complete sedative side from Dosidos. This strain packs serious potency and puts seasoned veterans on their knees if they overindulge. How can we describe something so perfect? The trichomes form an avalanche across the entire bud. The plant’s high calyx to leaf ratio makes it dream to trim, allowing it’s plump calyx’s to burst out to show off its incredible figure. Its deep purple hue will leave you transfixed on how this flower is even a possibility in nature. It’s no wonder why more growers are jumping onto the bandwagon of artisan seed producers such as Secret Society Seed Co. Peanut Butter Punch is a true masterpiece that will make its way across dispensaries in the coming months. This is an apt name for such a bold strain. Wedding Crasher by Symbiotic Genetics is full of confidence and haughtiness for a reason. Its genetic backbone consists of the dessert-like Wedding Cake and the infamous Purple Punch. When you’re looking to wow the crowd and gain the spotlight, look no further than Wedding Crasher. Even if this audacious strain is double-packed inside a sealed container- all eyes will be on you. The outright offensive fumes will easily permeate through any packaging, leaving a trail of its kushy loudness wherever it goes. The high is just as direct as its smell. Wedding Crasher decimates your will for productivity with its acute indica effects, so it’s best to use this strain when pain relief and the need for sleep is a priority. Some phenotypes exhibit a much more hybrid effect, sending users into a surreal daze of energy before it flattens you under its weight on the comedown. When looking at Wedding Crasher, it’s difficult to discern where the actual flower is because of the sheer trichome coverage. Just like an abundant layer of frosting splashed across a delicious cake, so are the trichome glands packed across the buds of this strain. This intricate strain has become popularized by various marijuana personalities and groups. Just like Girl Scout Cookies managed to break out int the scene with its unique properties, so is Wedding Crasher. 2019 is the year of decadence in the cannabis industry. Purple Punch is an amalgamation of everything unrestrained. We’ve already listed strains that have it as a parent, but it deserves recognition all on its own. Everything about this strain has launched it into the realm of legendary strains. Growers and smokers alike can’t get enough of this strain once they’ve tried it. Initially bred by Supernova Gardens, this cross consists of the fuel-filled Larry OG and the heavily respected Grand Daddy Purps. These two battle-tested strains set the foundation for the new generation of cannabis. This indica-dominant strain mixes the intensely cerebral onset from Larry OG and soon after begins its second phase of a decimating indica from Gand Daddy Purps. The moment you fill your lungs with its explosive berry-like taste, you’ll know you’re in for a wild ride as the effects immediately grab hold of your entire existence. Besides its effects, it’s popularity stems from its showcase appearance. Drenched might be an understatement when describing its trichome coverage. 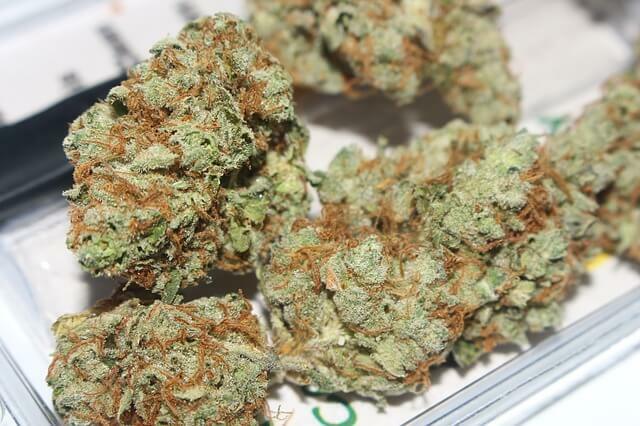 The moment you lay eyes on this strain, you’ll know its love at first sight. Although this strain has been in circulation for the last year, awareness regarding its characteristics is growing. If you haven’t had the opportunity to try this strain in 2018, then you need to update your New Year’s resolution goals with this strain as a top priority. Exotic Genetix is a mainstay in the artisanal cannabis breeding industry. Their unique and dessert-oriented strains will leave your taste buds desperately wanting more. Their updated Cookies N’ Cream provides everything you want in your cannabis: mind-blowing potency, bag appeal to make even your girlfriend jealous, and an aroma that you can’t get enough of. Its unique traits are thanks to its lineage, consisting of Mystery Cookies and Starfighter F2. Mystery Cookies is an unknown phenotype from the Girl Scout Cookies line. Starfighter is an unmistakably top-of-the-line strain that distributed the best of its qualities to Cookies N’ Cream. The previous iteration of Cookies N’ Cream received the Best Hybrid award in the 2017 High Times Cannabis Cup. Many retail consumers haven’t even heard of Cookies N’ Cream until recently with the new trend of exotic strains taking the spotlight. This updated version brings even more fire to the table. Once you have this strain in front of you, everything will make sense. Its complete creamy texture glistening with trichomes makes you want to eat it rather than smoke it. It doesn’t help that its aroma consists of fresh vanilla mixed with a sweet tone of fuel. The first hit from Cookies N’ Cream dunks your taste buds immediately into a fresh cake batter. By the time you exhale, your entire body is floating lazily amongst the clouds. This true hybrid relaxes your whole body while enabling you to socialize or focus on the tasks at hand. Now that it’s available again from this revival, it’s your second chance to try this soon-to-be legendary strain. So far, 2019 has blessed the cannabis community with eccentric and exciting strains. We’re only in the new years’ first quarter, and marijuana breeders are hard at work to showcase even more exotic strains for the upcoming cannabis festivals. Stay tuned to stay ahead of this year’s best cannabis strains.